Overwhelmed with credit card debt? There are ways to dig yourself out. Have you decided it’s time; but you don’t know how to get out of credit card debt? Use these tips to bring your balances to zero and breathe a sigh of relief. Have a mountain of credit card debt? 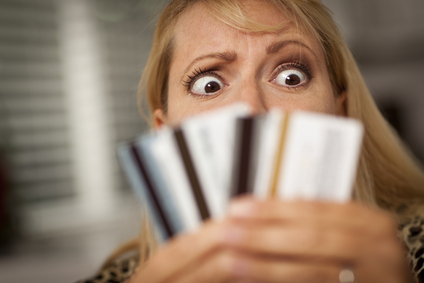 Well you’re not alone; the current average household credit card debt is $15,000! There are several ways to dig yourself out from under this debt, but deciding that it’s time and dedicating yourself fully to extinguishing debt are the main principles that apply no matter what method you choose for how to get out of credit card debt. 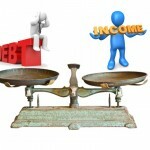 Devise a Plan Using 2 Common Methods to Get Out of Debt Fast! When trying to plan how to get out of credit card debt on your own, experts recommend using one of 2 methods. 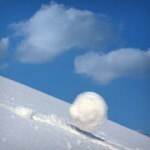 The Snowball Method—you pay off the credit card with the smallest balance first while only paying the minimum on other cards. The benefit of this method is that you get the quick satisfaction of reducing the number of debts. The Avalanche Method—you pay off cards with the highest interest rates first while only paying the minimum on the rest. The benefit of this method is that you pay less money in the long run and pay off total debt faster. Credit.com recommends trying to do it yourself if you can realistically pay off debts within 3 years. The reasoning behind this is that a major financial setback might occur and all of your hard work will be down the drain. Shortened to DMPs, these programs will negotiate with your creditors to lower monthly payments. You make one monthly payment to the DMP and they disperse your funds to each creditor. This is a smart option if your debt is out of control and the accountability will keep you on track. To learn more about DMPs as a way how to get out of credit card debt see_________________. Consolidation is a fairly easy method of how to get out of credit card debt. One loan to pay off all of your credit cards and you make one payment on the loan every. This might sound great; sometimes the loan offers a lower interest rate or a smaller payment AND you get the instant satisfaction of having all your credit card debts wiped clean! The downside? With every balance at zero, some debtors run up credit cards again. It’s an easy fix to get out of debt fast and debtors don’t learn from their mistakes; bad habits of overspending remain and people then end up in a worse financial situation. This should be an absolute last resort method of how to get out of credit card debt. Some debts are beyond your control and sometimes life’s emergencies leave you unable to manage your debt. You can only file for bankruptcy once in your life so you better make sure there are no other options. 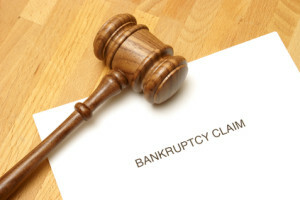 You must hire a lawyer to file bankruptcy and it costs a couple thousand dollars. Bankruptcy stays on your credit report for 10 years and basically tells future creditors that you couldn’t pay your bills before. Special circumstances and legitimate reasons aren’t listed on your credit report; so again, this should be an absolute last resort method of how to get out of credit card debt! One of the first steps to eliminating credit card debt is to stop spending! You must commit to paying down the debt. This means sacrificing, eliminating frivolous spending, and maybe finding another source of income. 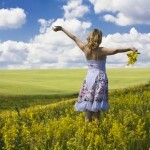 You can try to find another job, sell some of your stuff that you are no longer using, or reduce your living expenses. Cancel your gym membership and run outside, review your cell phone service plan, or watch your favorite shows online. Be creative! Whatever plan you choose, stick to it! The only person that cares about getting you out of debt is you. The faster you pay your debt off, the less you will pay in interest; so the quicker you get serious about paying your debt the better. Follow these tips on how to get out of credit card debt and you will soon find out how to rewarding it is to live your life debt free.